Weekly rehearsals for both choirs are on Thursday evenings at Scarboro United Church, 134 Scarboro Avenue in Southwest Calgary. There are also two or three workshops during the year, each held on a Saturday. The choirs are self-sufficient, funded by fees alone and requiring no fundraising activities or volunteer commitments by parents or singers. Financial assistance is available upon request with no child denied membership because of a family’s inability to pay the fee. Payment by cheque or cash is due at the first rehearsal of each term. 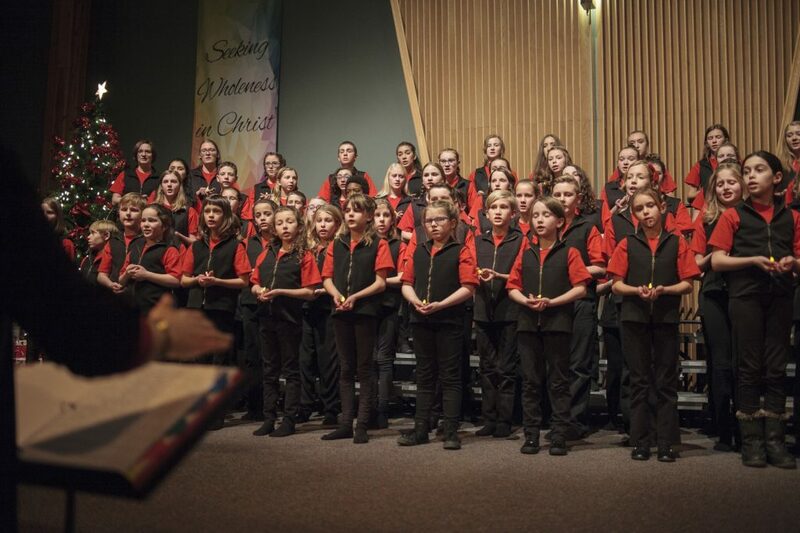 The Junior Choir (grades 3 – 5) rehearses on Thursday evenings in the Social Room at Scarboro United Church from 6:30 to 7:30 p.m. The choir is directed by Heather Nail and is accompanied by Amy Walton. Fees are $275.00 for the first term (September through December) and $275.00 for the second term (January to mid-May). Fees are $300.00 for the first term (September through December) and $300.00 for the second term (January to mid-May).